Your room will be more than just the place where you study and sleep - it will be your own space to call home. So it's a good idea to think about the type of accommodation that will suit you and what you can afford. Consider whether you're happy to share a bathroom, what sort of budget you have and if you prefer a modern or more traditional residence. Here you can find all of the information you need to find accommodation that’s right for you. We aim to make the application process as easy as possible and we have options for accommodation whatever your level of study. Find out what type of accommodation is available and deadlines for application. From free gym membership to excellent facilities, we aim to make sure that everyone living in our accommodation has a great experience. 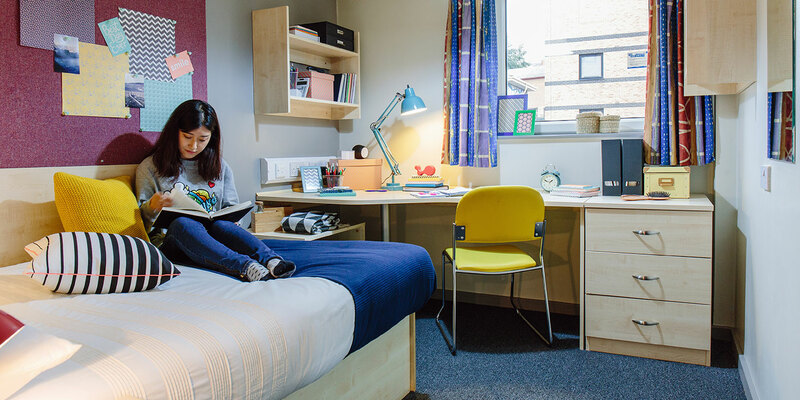 Find out what is included in our accommodation, advice on living in our residences and what you should bring with you when you move in. Once you have a place in our accommodation, it’s time to prepare for moving in. Find out how to get here and what to do if you are going to be arriving early or late.